It’s been 10 months since Kels popped the big Q and I’ve realized that I’ve only ever told this story verbally. So here’s to writing it down so you can hear how it went; and, so that Kels and I can look back and remember it forever. I want to say it started October 2017 in Newcastle, NSW when we went to take a look at engagement rings for the first time. However, that would be a lie. Apparently it started WAAAY back in May that year when Kels asked my parents for permission. Among the chaos of us moving out of our flat and into my parent’s house for the final couple of weeks before we made the big move to Australia, he managed to get them alone to ask. I am told that my mom cried and my dad replied with “HELL YEAH”, so I guess that went well! Fast forward back to October 2017, we were living in a van together. Our home and our transportation was one in the same; so, we did not have a lot of alone time. He couldn’t just ‘pop’ out to run an errand without leaving me stranded. So unlike a lot of girls, I was 100% aware when he bought the ring. I knew it was coming. We continued traveling in our van up the East coast of Australia, and then flew over to New Zealand on the 14th of November. 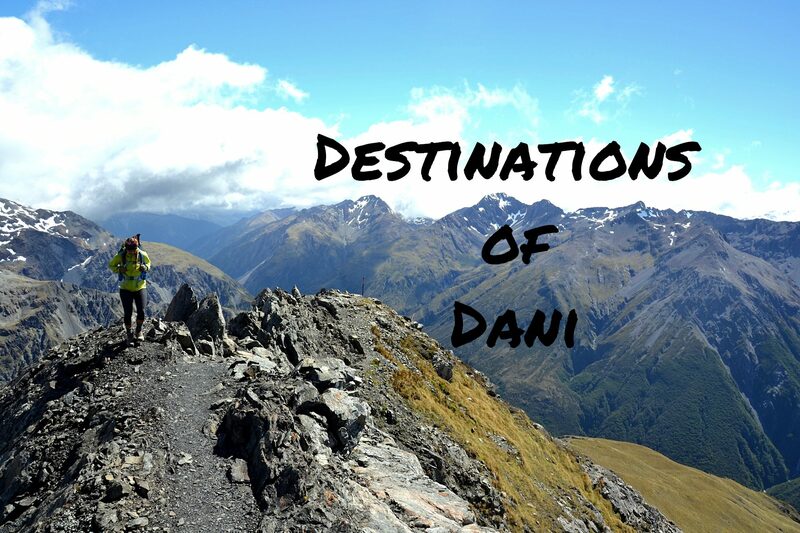 For a few weeks Kels had been mentioning a hike we were going to do down in Queenstown called Ben Lomond. Kels is actually TERRIBLE at surprises; so, I figured that since he couldn’t shut up about this hike, it MUST be where he was going to propose. So on November 27, 2017 I messaged my sister telling her that I was so certain it was going to happen the next day. I did it for the sole purpose to rub it in Kels’ face that he’s terrible at surprises. The text to my sister. I was so certain. November 28th, we were waiting for the gondola to take us up to where we would start the hike and I had fixed my braids at least 5 times- I wanted my hair to look good for engagement photos on the summit. The hike up was gorgeous, and when we reached the summit we sat down and had our lunch. He finally told me it was time to start walking back down. I was NOT very happy. He kept asking if everything was okay, and I would just reply “I’m fine” even though I was clearly very thrown off and grumpy. I was SO convinced that he was going to ask at the summit. We got back to town, I messaged my sister saying he didn’t do it and that I had no idea when it was happening. Little did I know then, Kels had thrown me off on purpose. He knows he’s normally terrible at surprises; so, he fooled me into thinking it was going to happen on that hike. When we finished our South Island tour, we met up with my family near Nelson. We were spending the holidays in their Bach (NZ word for holiday home). On December 22, 2017 we had our alarms set for somewhere around 3:30am. Our plan was to make the drive the Wharariki Beach for sunrise with my cousins, sister and auntie and uncle. About 30 minutes before our alarm was set to go off, my uncle Brent came into our room and called it off – it was overcast and there wouldn’t be much of a sunrise. Little did I know, Kels had a restless and nervous sleep that night. We decided we’d see how the weather was going for sunset that night – still overcast. Little did I know, Kels had been texting his parents back home freaking out. The next morning we woke up to beautiful blue, clear skies. We headed out on my grandad’s boat and spent the morning fishing, swimming and seal watching. My cousin Liam mentioned that we should attempt sunset at Wharariki for that evening, and a plan was put in place. (Kels later said he wanted to hug Liam so hard for suggesting it, he had been trying to bring it up again, but didn’t want to chance ruining the surprise). That afternoon, we packed up a picnic dinner and some bevvies and drove out to Wharariki. It is a 15-20 minute walk from the car park through farmlands to get to the beach. As we were walking, my Auntie Lorene mentioned that last time they did this walk, a couple was getting married. I remember telling her I wasn’t even engaged yet – so it’s not like we could even start thinking about wedding photos here. Lorene started teasing Kels, telling him that he should get on it. Talk about accidental foreshadowing. Wharariki Beach is by far the best beach I’ve been to. All throughout our travels of Australia and New Zealand, I constantly was comparing them to Wharariki. It was always “This beach is beautiful; but, it’s no Wharariki”. I was so excited to finally get to share this beautiful bit of the earth with Kels. When we reached the beach, we frolicked around – jumping off sand dunes, taking photos of the seals and skipping about. We got to the arches – the iconic Wharariki Beach photo spot. Kels asked my sister Margaret to hold the GoPro, he had it set on video and told her that we would just screenshot photos from the vid. We struck a couple of poses and then Kels gave me this big hug and started getting serious. He told me how much he loved me and then, next thing I knew – he was down on one knee. I wish I could say that I remember exactly what he said; but, all I know that in that moment, it was absolutely perfect. He had pulled off a perfect proposal and I had no words but “yes”. As he was still down on one knee and we were hugging, a wave came up and soaked his shorts. Like I said, it was absolutely perfect. Kels was crying, I was crying and Margaret was crying and we were all laughing. We grabbed Kels’ backpack (that also got soaked in the wave), and ran to my auntie, uncle and cousins who were setting up our picnic dinner to share the news. Lorene was screaming and jumping and everyone was so excited! We popped our bevvies and clinked glasses and enjoyed cheese, crackers, veggies and a toblerone bar for dessert. My cousin Caitlin loves photography, so we got her to take a couple of photos for us. We all goofed around the beach, watched the sun set and then called headed back to share the news with my grandparents back at the bach. Talking to him afterwards, he said that he purposely tried to throw me off with the Ben Lomond hike. He ended up completely surprising me that day. I am so happy that he planned it with all my loved ones near to celebrate, and not on top of a mountain summit with strangers. We are now over half way between the date we got engaged and the date we get to say I do. I am so excited for our future together – I love you Kelsey Rigler.